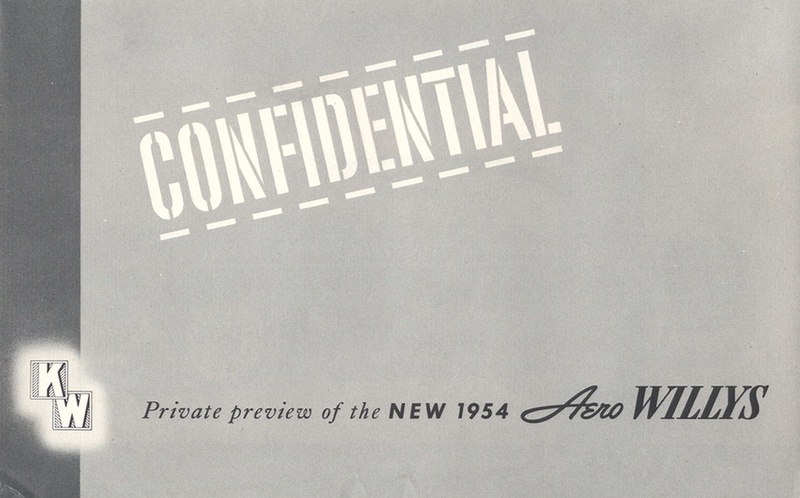 Black and White sales brochure for the 1954 Aero Willys automobiles. Models featured include the Aero Willys Ace, Aero Willys Eagle, Aero Willys Eagle Custom, Aero Willys Lark, Willys DeLuxe Station Wagon, and Willys 4-wheel-drive Station Wagon. Brochures are presented for research use only. Company marks, emblems, and designs are trademarks and/or service marks of Willys.